Hello everyone! I hope you are having a wonderful week. A couple of Saturdays ago, I visited the flea market at Loose’s vintage shop in Norwich, where I picked up these beauties. I’d had my eye on the the huge, sumptuous lamp shade for some time, and I decided that it was my time to claim it from it’s dusty corner, and make it mine! 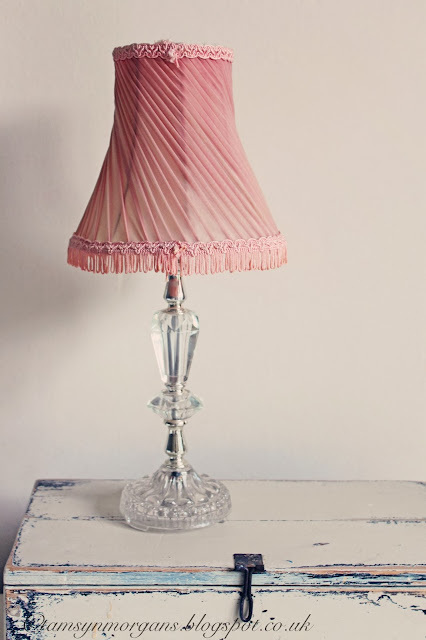 The little vintage glass lamp base with it’s chiffon pleated shade, cost £12, which I was pretty pleased with. 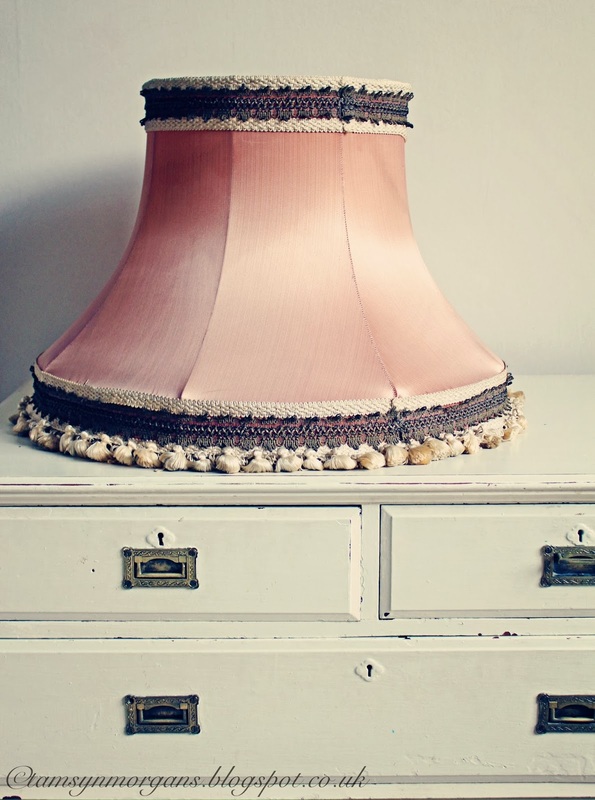 If you are a new visitor to this blog, I posted a while back about my love affair with these old fashioned, frou frou shades in peach and dusky pink hues – you can read my post here. 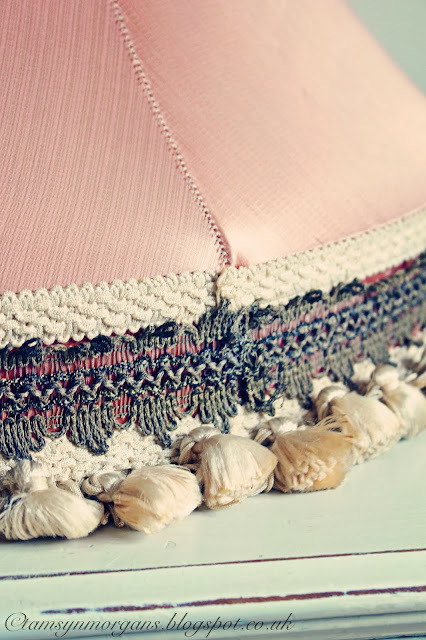 I just adore their boudoir glamour, and I also quite like that they are so very unfashionable right now among the masses, in that chintzy, ‘granny chic’ kind of way, as it means they are still easy to find at a good price. I also found some fabulous ditzy floral wallpaper which I will share with you on Friday! I just also wanted to wave a big ‘hello!’ to all you lovely people across the world who pop over to look at the blog – I took a look at the blog traffic source today and it’s so lovely to know that people are visiting from all corners of the earth! Thank you, and please spread the word! After days of rain and gloom, we have some sunshine in Norwich today, so I’m off to take advantage of it. Have a fab day whatever you are doing!